Packed in Wooden Reel, 1000M or 2000M per Reel. 2) Standard: Both GB/T 20118-2006 , DIN& EIPS are available. 3) Tensile Strength: 1570 Mpa, 1670Mpa,1770 Mpa,1860Mpa 1960 Mpa etc. 4) Package: Packing in ply wooden reels, soft coils, cartons, wood case, etc. 7) Lay: right hand regular lay or left hand regular lay. 2. Construction: Number of strands, number of wires per strand and type of strand construction. 3. Coating: Bright(ungalvanized), galvanized or stainless, PVC or Grease. 4. Type of Core: Fiber core( FC), independent wire rope core(IWRC) or independent wire strand core(IWSC). 5. Length: Length of wire rope. 6. Lay: Right regular lay, left regular lay, right lang lay, left lang lay. 7. Packing: In coils wrapped with oil paper and hessian(orp.p) cloth, or on wooden reels. 8. 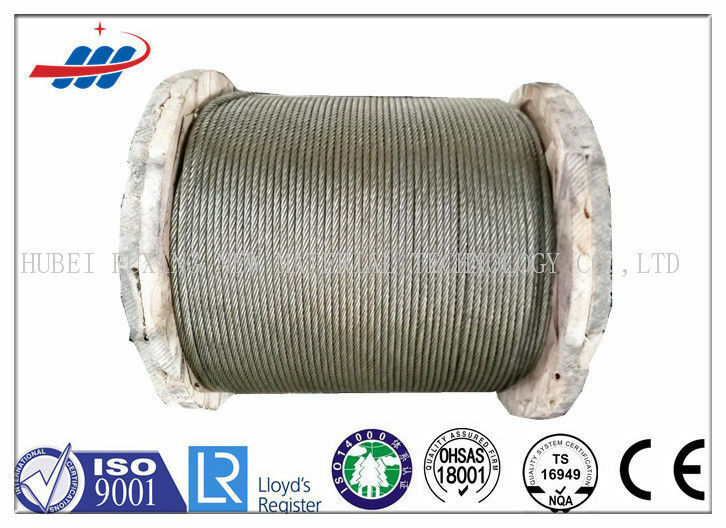 Grade of wire: Tensile strength of wires. 9. Quantity: By number of coils or reels, by length or weight. 10. Lubrication: Whether lubrication is desired or not, and required lubricant. 11. Purpose: For which rope will be used. 12. Breaking Load: Minimum or calculated breaking load in tones or pounds. 13. Remarks: Shipping marks and any other special requirement.